On this day, the 30th November in the year of our 4×4, 2006 – our beloved leader Rev. 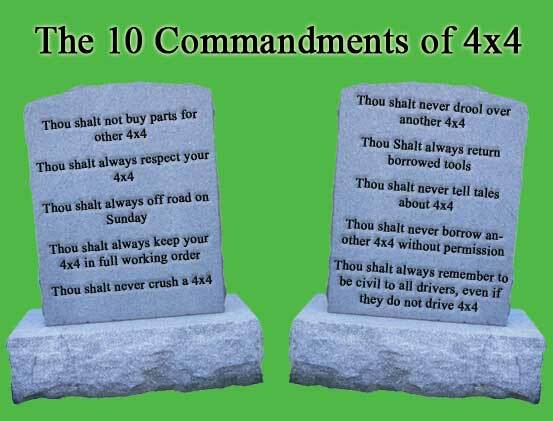 Tyrone was handed the following stone tablets with the sacred commandments of 4×4. We look to follow these rules to ensure the well being of our 4×4 members.